Children learn about their world through their own experiences, but they also learn by modeling you! They watch the adults and older children in their lives closely so make it a point to model kindness and patience as you go about your day. Saying “Thank you” and “Please,” offering compliments to others and asking about someone’s day are all simple ways to show your youngster that you care about others. Your child might already show care to those closest to them such as their mom, dad, grandma and grandpa. They may not yet understand that they are part of a larger community and that they can have an effect on those that are outside of their inner circle as well. You can help them learn this by encouraging them to empathize with acquaintances or strangers. With younger children you can start by prompting them to be friendly and grateful to those that they encounter such as a restaurant waitress or grocery store attendant. With older children you can begin a discussion about empathy by encouraging them to think about how it would feel to be the new kid in class, speak a different language or miss a shot during a team basketball game. You can also use the local news to help them learn about what is going on around the world and encourage them to think about what life is like for those who are less fortunate. Learning to be kind is like learning to play an instrument, they both take practice! The best way to help your child grow in empathy and kindness is to allow them opportunities to practice those traits each day. This month at Play Street Museum, our Open Play by Reservation sessions will focus on doing just that. Grab a spot and bring your child in to make a kindness chain with ideas for practicing kindness each week. Some might be as simple as saying thank you and some might call your child to action by asking them to hold open a door or make someone a card. In addition, each paying child that attends Open Play by Reservation will receive a Play Street Museum play pass to give away. 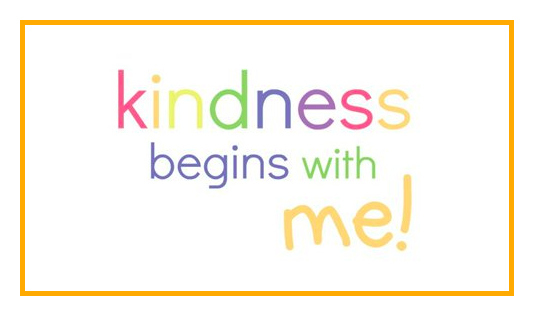 This will be a fun way to work with your child to identify someone who might benefit from the pass and will allow your child the opportunity to experience how good it feels when they show kindness to others! Open Play by Reservation sessions are filling fast, sign up to reserve your spot today!